Huawei Officially released B300 Android Nougat Update for its Mainmang 5. Here we are going to share the method how you can flash [B300] Android Nougat Update on your Huawei Maimang 5. This B300 update packs with latest Andoid 7.0 Nougat and based on latest EMUI 5.0. So, if you want to flash B300 update on your Huawei Mainmang 5, then you are in right place. 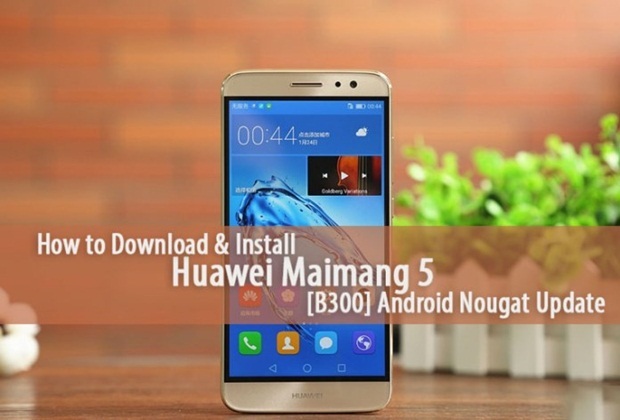 Follow the given below steps to download and install B300 update on your Huawei Mainmang 5. This update is only for Huawei Mainmang 5 MLA-AL10. Don’t try this on any other variants or device. Device must be on stock recovery and stock firmware. Follow given steps carefully, otherwise device may be bricked. This update can erase your data so you may take a complete backup of you phone. Your phone’s battery level must be at least 70-80% charged to prevent shutdown in-between upgrading process. First, download Huawei Maimang 5 B300 Update.zip from above and extract it. Now download update_data_full_MLA-AL10_channel_hk.zip for Huawei Maimang 5 from above and extract it. Done. This will Update Huawei Maimang 5 to Android Nougat.